There’s a lot of tax mumbo-jumbo being thrown around. But if you understand these terms, you’ll understand the election! Although the particular Australian design arguably was a world first, dividend imputation or something similar is not unusual. Many countries have systems in place that to a greater or lesser degree ensure company profits are taxed only once—among them Canada, New Zealand, Chile, Mexico, Malaysia and Singapore, whose system is called “one-tier” tax. In July 2017 the Turnbull government wound back tax free super by limiting it to accounts with less than A$1.6 million. The restriction was to hit 1% of super-fund members. 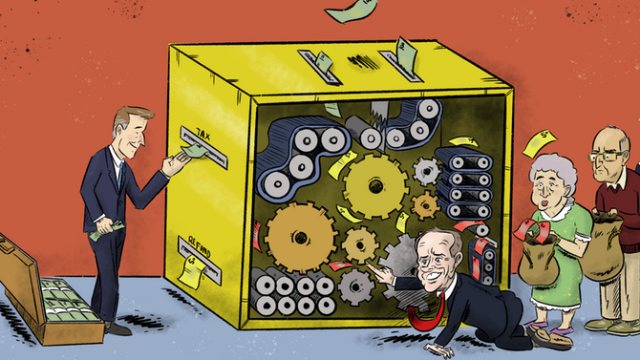 Labor’s proposal, announced in mid March 2018, was to return the dividend imputation system to where it had been before Howard changed it in 2001, and to where it still is elsewhere. Tax credits could be used to eliminate a tax payment but not to turn it negative. Also exempt would be self-managed super funds with at least one member who was receiving a pension or part-pension at the date of Labor’s announcement, March 28 2018. Retail and industry super funds pool their members’ contributions, and so almost always have tax to reduce, meaning most would be unaffected by the withdrawal of cash credits. Self-managed funds usually represent just one person, or a couple; their funds aren’t pooled with anyone else’s. This means that in the retirement phase, where fund earnings are untaxed, most do not have enough tax to reduce. So they get imputation cheques, which they would no longer get when Labor’s policy was implemented.